Beautiful luxury holiday apartments (CIO142, CIO143 and CIO144) located in a small Mediterranean village of Sveta Marina, which is known for its extremely clean sea water. Apartments are very comfortable, equipped with modern, high quality furniture, and each apartment offers stunning view of the sea and peaceful cove. Each apartment has two bedrooms, two bathrooms and a comfortable kitchen with dining room and living room, covered and open terraces. There is a diving center, which is why the place is a favorite destination for diving and water sports. 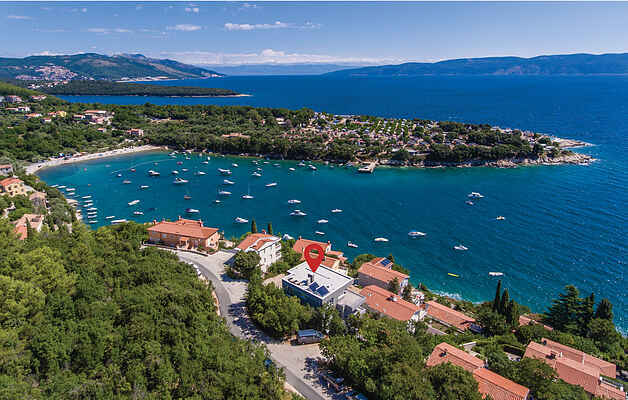 Visit the nearby historic town of Labin, rich in art and culture, and enjoy the cuisine of one of the local restaurants.